Do you ever look at other entrepreneurs who are growing their companies by leaps and bounds and wonder how they are doing it? 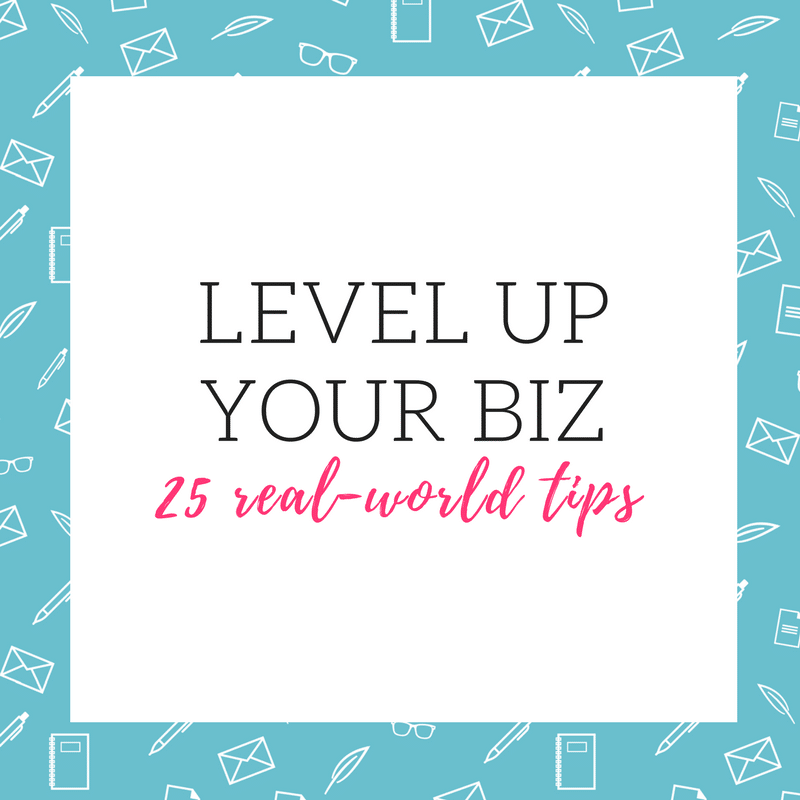 If you want to level up your business, you can’t just take a magic pill and expect overnight results. There may not be a secret formula for success, but there are some smart tactics you can try. I asked 24 awesome entrepreneurs to share the one thing that made the biggest difference in growing their business. Some of these ideas are easy to implement, while others may be a bit more scary or difficult. Do what you can and see how the changes pay off. If you try any of these strategies, I’d love if you come back to share your results in the comments. Or, if you’ve leveled up using other methods, please tell us your secrets! 3. Use a retainer model. 5. Invest in smart tools. 7. Get to know your customers. 8. Add a business partner. 15. Keep your eye on the ball. 16. Take time to ponder. 19. Make yourself a priority. 20. Concentrate on your strengths. 22. Cater to the customer. 23. Do more content marketing. 25. Give more than you get. These are all great tips, Becky! Some serious out-of-the-box advice here from great entrepreneurs. Thanks for adding my tip into the mix. Thanks for reading and contributing, Kim! So much good advice in here! Thank you for making it 24 instead of 10, because there are that many more takeaways! Sometimes 10 is just too limiting! Thanks for reading. Fantastic post! Thank you for sharing all of this excellent actionable advice.  I will be reading this one through several times and also checking out the links. Thanks for reading, Nicole. I hope you find a lot of great, actionable advice that can help you take the next step up! I know I did. I loved reading the other tips from other entrepreneurs , I can’t wait to explore the links and seeing how I can apply one or two things I’m not doing! Thanks for having me be a part of this. Thanks for participating and reading! Hi, Becky! Thanks for this post. It was such a cool opportunity to share thoughts on how I as well as the other bloggers and creativepreneurs boosted our own businesses. Godspeed! Fantastic post, Becky! I need to re-read and re-read this. :):) Needing a kick in the pants lately! Thank you! So glad you found it helpful, Amanda. I know I learned a few things from the other contributors! What a fantastic, helpful post! I’ve already done some of these things, like pricing in a way that allows me to spend time getting to know each client. However, some of these ideas (like the one about Boardbooster for Pinterest) are new to me. I’m all about investing in smarter tools. Thank you! Thanks, Tara. I learned a lot from the other contributors to this post as well! This was an incredible article! What a roundup of valuable insights… I’m so inspired! Thanks, Lindsey. I’m so glad you found it helpful. Thanks Becky, I didn’t know about boardbooster for Pinterest. On it! Everything in this was 100% relatable as I went through as my first year being a full-time entrepreneur and it was essential. So glad to hear the advice is on target for new entrepreneurs. Thanks, Mariah! These tips are great and totally agree about Board Booster, it rocks!